Just as few things say incompetent and sloppy like a document ridden with misspellings, poor word choices, and grammar errors, nothing says proficient and skilled like well-written, grammatically correct, easy-to-read prose. Improve your chances of getting your message across and being taken seriously with a one-year subscription to Ginger Page Premium, a full-featured document editing app that runs on virtually any platform or device, for just $29.99. 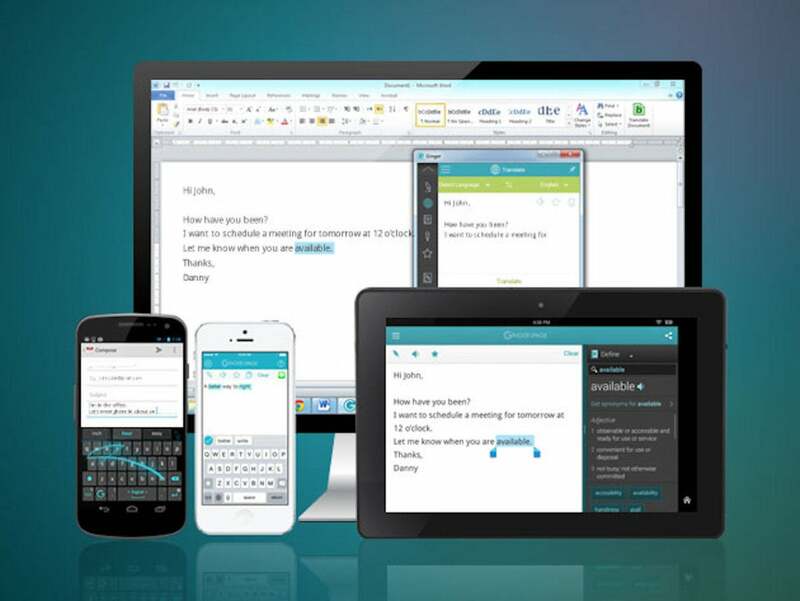 It's like having the full version of Microsoft Word and more at your fingertips for a fraction of the price. Fully customizable, Ginger Page Premium works the way you do, allowing you to create your own keyboard layouts and hundreds of other personalization options. Make sure you choose the right words and syntax with the built-in dictionary and grammar checker, and be confident that you say what you mean with the sentence rephrase tool. Improve your writing skills daily with the personal trainer. "Ginger's new app," proclaims Venture Beat, "will make you a better writer," and Lifehacker says it "makes sure your English is impeccable." Today, you can get a full year's subscription to Ginger Page Premium on sale for just $29.99; that's 79% off the standard retail price.